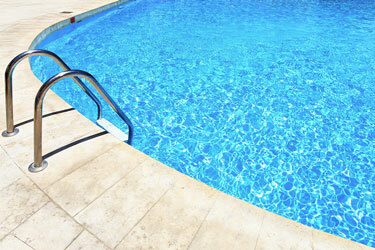 Pool & Spa Inspections Find out if your dream home's pool is all that it's cracked up to be. Having a pool or a spa on your property is something many families only dream of. However, all that bliss could come with some major hidden expense. Pools are costly to maintain, and they can be quite expensive to repair — making a pool & spa inspection a great investment. Pools and, to a lesser extent, spas are complex systems with a lot of moving parts, seals, and other items that wear out over time. Some repairs occur from normal wear and tear while others can show up from poor maintenance or poor installation. Here are some of the more common problems that can be expensive to fix. Problems with the pool's structure include settling of the ground beneath the pool, cracked walls, worn out linings, and deteriorating surfacing. Resurfacing or repairing the structure of a pool can cost thousands of dollars. A pool requires several pieces of equipment to function. The most common equipment failures occur with the heater, filter, pump, and motor — the most common component to be replaced. While less expensive than structural problems, replacing or repairing equipment can still cost hundreds of dollars. Water from the pool is constantly pumped through a series of pipes to reach the filter, heater, and other components. As with all plumbing, this system is prone to leaking. I'll check all of the accessible plumbing for signs of any problems. McLaughlin Home Inspections provides pool & spa inspections in the Capitol District and beyond including, Albany, Colonie, Latham, Guilderland, and surrounding areas. Not sure if that's you? Give me a call at (518) 389-5449 or send me an email. Don't let your pool catch you by surprise. Schedule a pool & spa inspection or give me a call at (518) 389-5449.